The boom has made farmed fish like shrimp, tilapia and pangasius catfish—imported from countries such as Thailand, China and Vietnam—an increasingly common sight in European and North American supermarkets. As a result, much research on aquaculture has emphasized production for export. Farming pangasius catfish for export in Vietnam. Photo by Ben Belton, CC BY-ND. 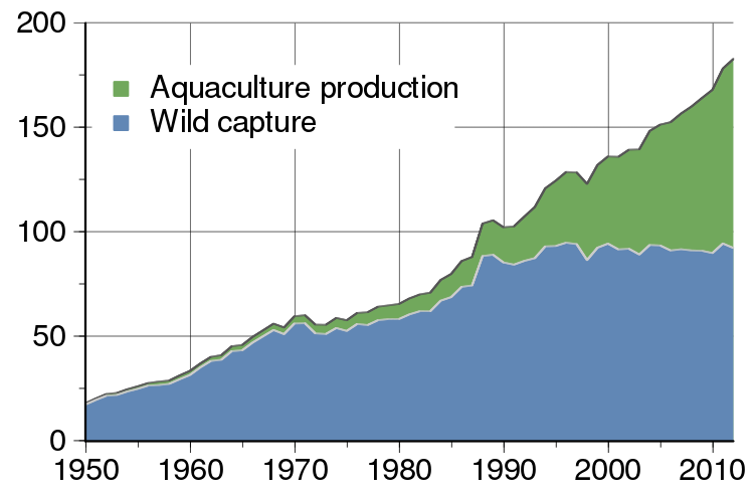 Global total of wild fish capture and aquaculture production (million metric tons). Construct, data from FAO, CC BY-SA. In a recent analysis of fish production and trade, we used data published by the United Nations Food and Agriculture Organization to show that the importance of global trade in farmed seafood has been vastly overstated. We analyzed farmed fish production and exports for 2011—the most recent year both sets of data were available—for the 10 most important aquaculture producing developing countries, which together account for 87 percent of global aquaculture production and half of the world’s human population. 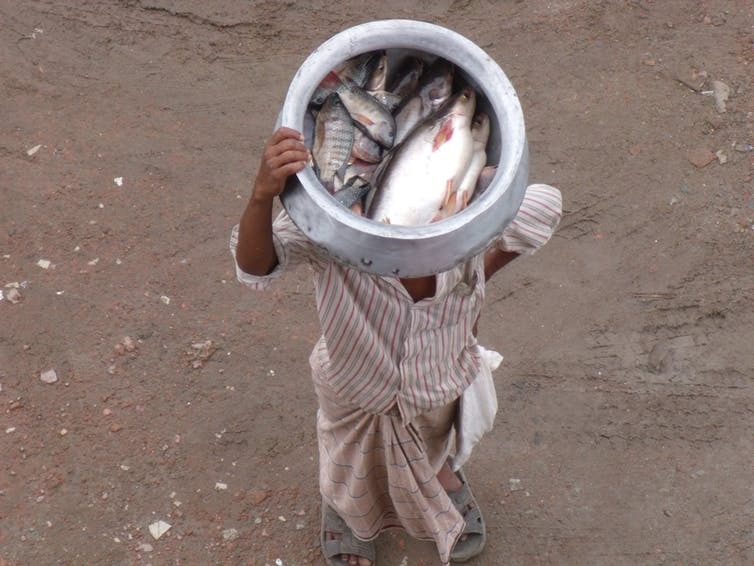 Mobile vendor selling affordable fish in Bangladesh. Photo by Ben Belton, CC BY-ND. For example, in Bangladesh—one of Asia’s poorest countries—the farmed fish market grew by a factor of 25 in three decades to exceed two million tons in 2015. This growth caused the real price of farmed fish to drop by nine percent from 2000 to 2010, at the same time that wild fish were becoming scarcer and more expensive. Consumption of farmed fish by poorer households—who are particularly sensitive to changes in food prices—increased rapidly over this period, more than offsetting a decline in the quantity of wild fish eaten. So who is producing this fish, and how? The ‘quiet revolution’ in farmed fish supply has been driven neither by corporate agribusiness nor by tiny backyard farms. Rather, most of aquaculture’s growth over the past three decades has come from a dynamic and increasingly sophisticated segment of small- and medium-sized commercial farms and the myriad businesses that support them by supplying inputs such as feed, logistics and other services. This article originally appeared on The Conversation. Republished under Creative Commons licence. Ben is a rural sociologist whose work focuses on the political economy and political ecology of aquaculture and capture fisheries development, agricultural value chains, food and nutrition security, agrarian change, poverty and social well-being. 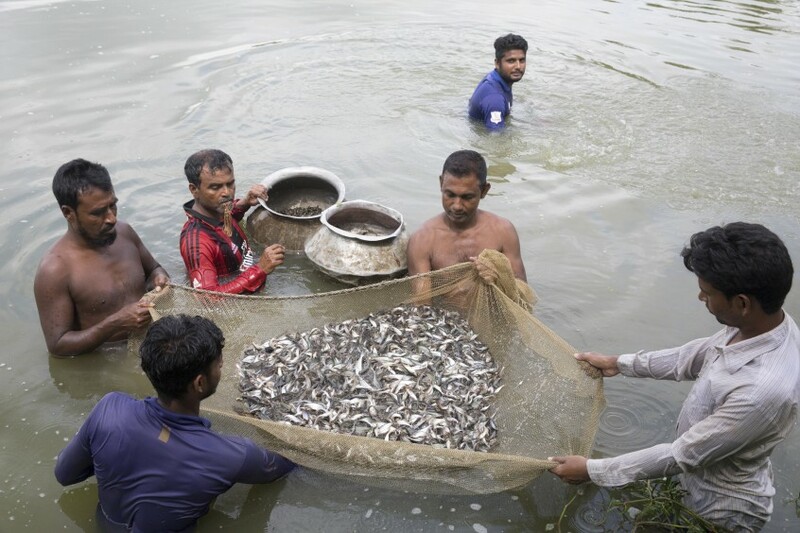 He has lived and worked in Southeast and South Asia for more than a decade, including working for more than four years with WorldFish in Bangladesh. 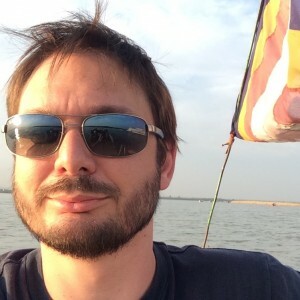 He currently works in Myanmar for Michigan State University, where he leads the research for the Food Security Policy Project, a five-year project funded by USAID and LIFT.